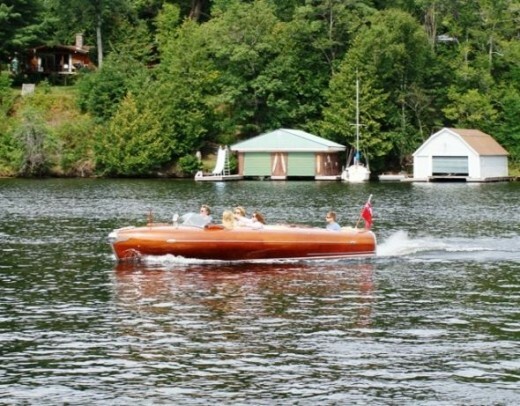 The Victoria weekend in May is a special date for many cottagers in Muskoka. It is time to open the cottage for another summer. The checklist is reviewed and in anticipation, talk centers around this yearly ritual of opening the cottage. 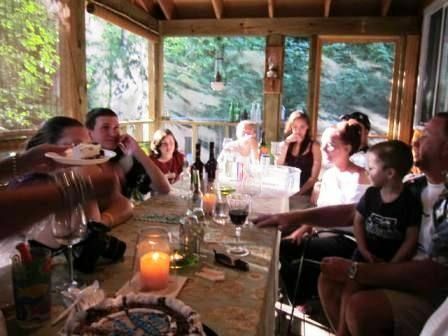 The Labor Day weekend marks the closing of the cottage and this, too, is a yearly ritual that creates much bonding among family members. Slowly, though, these rituals are changing with cottages now becoming primary residences for many families. With all the modern amenities, cottages are now comfortable even in the winter that people go all year round. Still, for many of us who only summer in our cottages, the Victoria weekend is the day. From then on, the whole summer all you hear about from cottagers will be mostly on this special place: The Cottage. In our family and small circle of friends with cottages around us, there is an agreed upon date when we can start talking about the cottage. Starting March, we are allowed to talk about the cottage. Before that, we try not to. 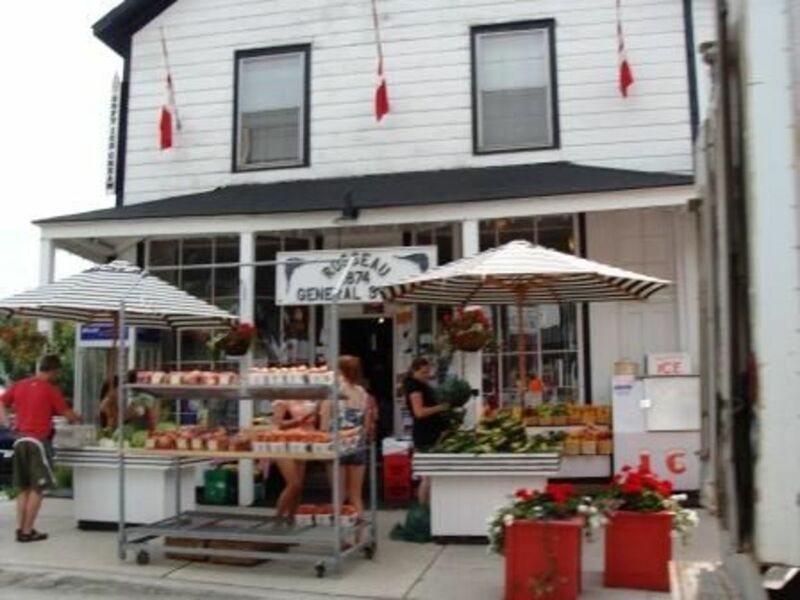 But going to the cottage has a very special meaning for those Ontarians who have this all their lives. They seem to be talking of a very special place, more special than their homes in the city. Featuring 40 old Muskoka cottages built for many of the Americam moguls who summered in Muskoka, this is full of stories of the life then and how Muskoka has grown to become what it is now. Even then, it was already a playground for many Americans who loved the natural beauty of the place. This book makes you appreciate what Muskoka is with all the stories about these grand old dames in cottage country. It is not just the stories of these 40 old cottages. It is the story of Muskoka itself. What do you enjoy most in the Cottage? What's really enjoyable about the cottage is often you can find places to spend some moments of solitude and rest the mind from any social interaction. This is more true when the cottage is not connected. What bliss. The Cottage. 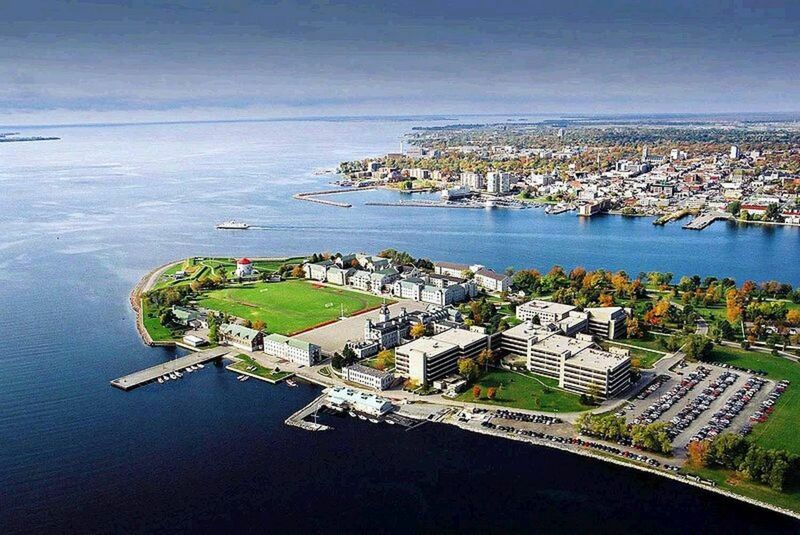 This is our summer home in Canada now. We have given up our city home as all of us want to be in the cottage when we are in Canada which is summer for all of us in the family. As family members are in Europe and with us working in Asia, this is the place where we see each other every summer. We all Summer in the cottage. For us, an experience of family, togetherness, tradition, stability, history, simplicity and friendship. We have given up homes, lived in different countries, and given up many things. The Cottage is the only constant in our lives. All the grandchildren have never missed a summer in the cottage. 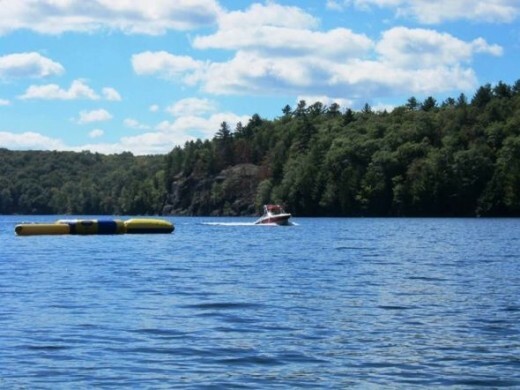 The Cottage for us is in Skeleton Lake, a smaller lake beside the 3 big lakes of Muskoka. It boasts, however, of its crystal clear lake water not found in the big lakes. 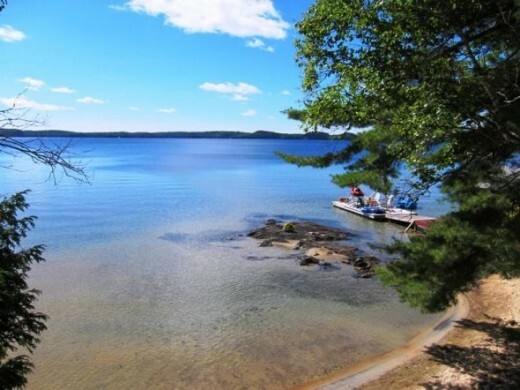 For many Ontarians in Canada, going to the cottage evokes memories of a lifetime when as kids they all troop to the cottage to have a life closer to nature, let go of the demands of city life and live a life free of the encumbrances of modern amenities. For the men in the family, it is time to try their hard earned do it yourself skills from hours of browsing through Home Depot. For the women, the joy of having the family and preparing food together is enough to draw them there every weekend. For the kids, it is special. They can play all the time, swim, explore the woods, feed on food their doting grandparents allow them to eat and somehow everyone is more relaxed and having fun. 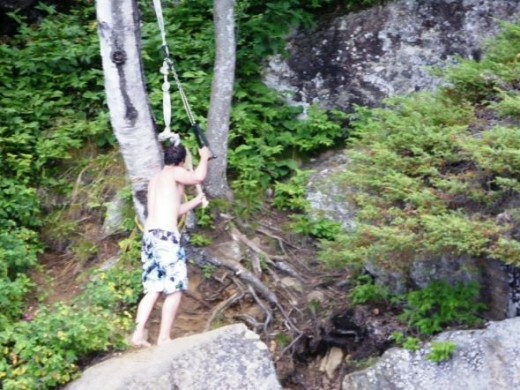 As I did not grow up in Canada, the cottage is not part of my psyche. It is beautiful and I like being there but I don't have the same attachment to it. This came after more than 20 years of being there every summer. Just like the rest of the family, I often catch myself saying wherever we travel, "Oh that is just like the cottage". Cottage in the summer? - Do you go? Do you go to a cottage in the summer? Reading is one of the things one do in the cottage. And what better to read than a book on one of the icons of Muskoka, the Royal Mail Ship, Segwun built in 1887. 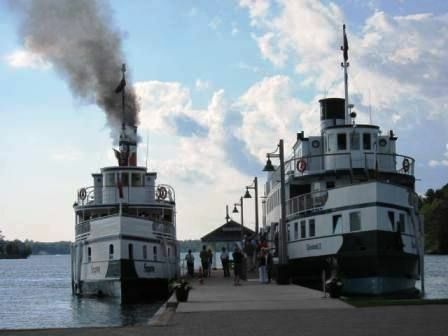 Considered the oldest operating steamship in North America, this ship offers cruises for cottagersand visitors to enjoy. Written by those who regularly vacation in Muskoka, this book is a good read for steamship and history fans. Your Cottage Experience - Fun? Do you enjoy going to the cottage in the summer? Before you take the plunge to buy a summer cottage, rent one first. This way, you will have a sense of the things required of a cottage owner. It may not be for you. Or, you might enjoy it immensely you can't wait to get one. 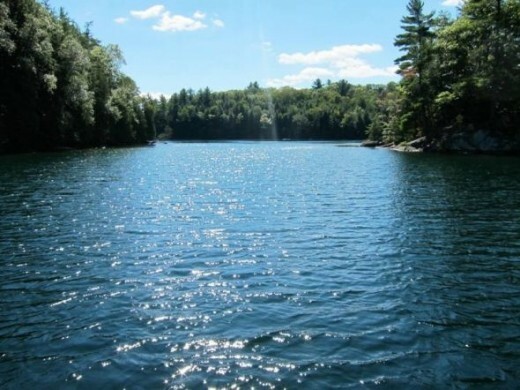 Here is one area in Muskoka you might like. Why is the Cottage so Special? 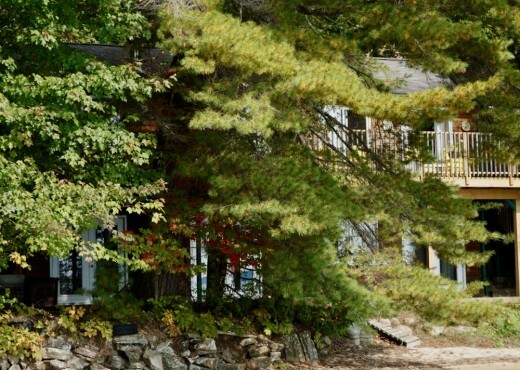 Why is the cottage so special for many Ontarians? Why do many especially from Toronto drive through many hours of traffic every Friday evening and do this again Sunday evening? When we were in Ottawa, we drove the requisite 4-5 hours every weekend to be in our cottage. Many families in Ottawa drive only a short time as they have cottages in the Rideau. But ours which we have inherited from my husband's parents require this drive. Not a complaint at all from any family member, only anticipation and excitement to be there. There are a million fun things to do especially for the kids. They meet family members they usually don't see the whole year. They share life with a much bigger family. They can go fishing with grandpa or cook with grandma. 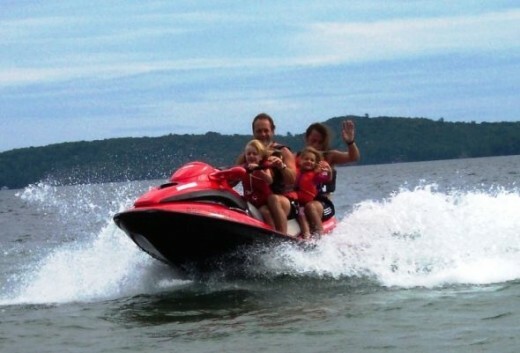 They can learn new water sports each year from canoeing to kayaking, driving boats, sailing, swimming, skiing and fishing. Why is the cottage so special to many Canadians? - What makes the cottage so special? Is it worth having a cottage? - What do you think? Many cottage owners often make assessment as to how much they spend on the cottage. Each year, as taxes and insurance go up, they start thinking whether it is worth spending so much for upkeep for a place used only for 2 or 3 months. The debate continues until it becomes really hard for some people to maintain the property. Some inherited their cottages and a number are now retired. With many people buying into the area, real estate has gone up and so has taxes that cottage owners living on retirement income are no longer able to maintain their property. Some have sold out b ut a number want to still keep it for their families so they rent these at certain times. The debate continues on whether it is really worth having a cottage. Share us your own thoughts. Do you think it is worth having a summer cottage? Cottages are places where memories abound. It is here that we mark heights of grandchildren at certain ages. It is here that we keep family mementos treasured by the family and kept for everyone to enjoy. The old table lamp that great grandpa did, grandpa's first project in school, and grandma's special teapot. Recipes are kept as well to be savoured only in the cottage. It doesn't taste the same in the city. Pictures abound as well and each year, these are looked into hoping for new insights and surprises. Days in the cottage are often spent creating your own adventure. 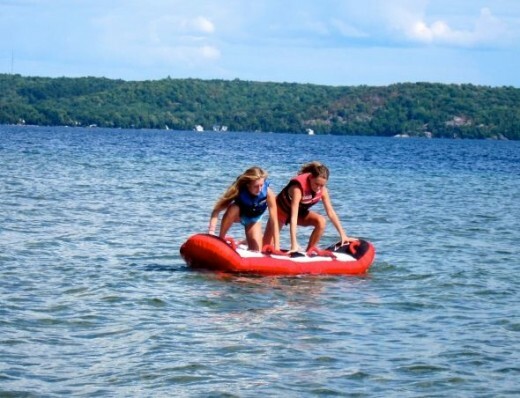 The cottage environment offers more challenges and fun for the kids. Nature is the biggest challenger. Learn to balance and hold on on this biscuit. 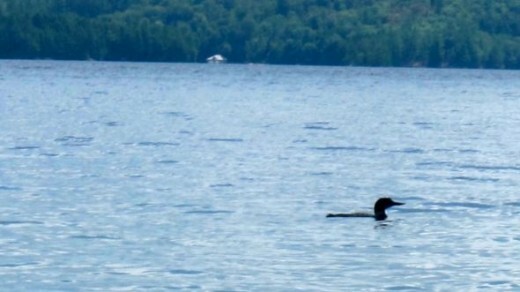 Listen to the call of the Loon. Watch the chipmunks gather food for the winter. Listen to the birds especially the hummingbird whizz by. Swimming in the natural water of the lake is most refreshing. 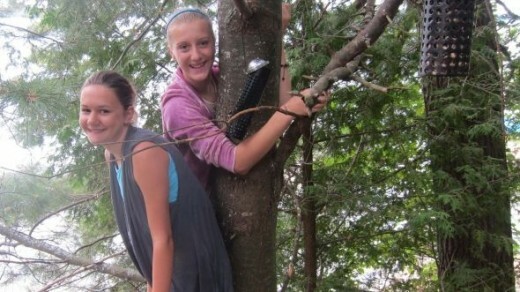 Playing with simple things in nature contribute something to the growing up experience of these kids. Fathers and kids having so much fun. Just floating in the water gives one a very relaxing experience. Lazy afternoons is best for reading. Traditions develop and grow. We even have movies we watch every year without fail. This has taken the place of the slides great grandpa has shown of their travels. We each have our favourite accessories or furniture. It took us forever to give up a sofa as one of the grandsons really love to sit on it. 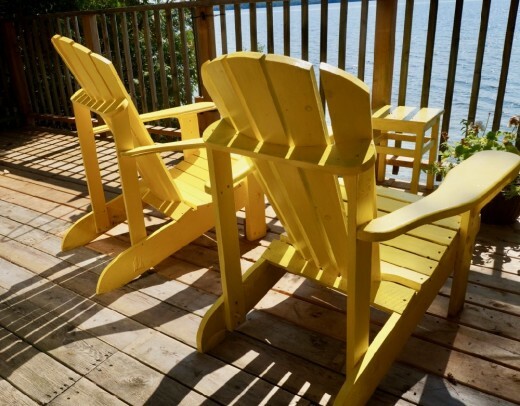 Even the paint of the cottage cannot be changed easily. The cottage seems to give the continuity and stability so much lacking in many family lives these days. Once, friends came with their guitars and sang with the kids around the fire. The kids got very interested after that to get back to their musical instruments. Often, just the family around the fire is a bonding experience. Share with your neighbours and double the fun. This floating dock which we christened The Garlic has contributed so much fun in our summer cottage. 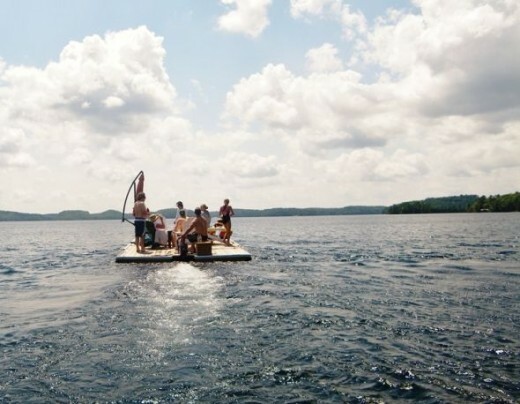 With motor attached, we can bring it to the middle of the lake and swim there. In the winter, so many people go as they can skate on the frozen lake or drive their ski-doo. Hello Mary. You have written another informative article. I would love to have a summer cottage but would prefer living there all year. The cold winters wouldn’t bother me either considering that I literally grew up on Presque Isle. The water and land are also gorgeous and the endless water sports sound intriguing too. That's home for us except in the winter. I am also in Toronto now for the first time after many years and I'm loving it. This entire article reminds me of my neighbors who own a year 'round cottage. They live there four out of seven days and it's an absolute place of enjoyment for them and their entire family. It's in the Muskoka's as well. You're right, cottage life is pretty popular here. I was never into caring for more than one home, but a lot of people love it. I personally know many people who own cottages and absolutely love it. The Muskoka's are outstanding as well. So beautiful. Wow, you get around! You've been everywhere! It truly is. My husband's family has been there for over 60 years now so the tradition is entrenched. Inspiring. We have had our cottage in Michigan for over 20 years. Raised our three boys up there on Saginaw Bay. It was worth every penny. This cottage looks wonderful and I think it's so important to get away and relax and enjoy the peace and quiet (or not so quiet) of the natural world. Great place to get away from it all, love the floating dock! I like how cozy they are. They're small. It's a pleasant change from a big house. They often have lots of big windows, so you can see things. I love romance and seclusion. And this would be the ideal vacation for me. Thanks. I don't know where Muskoko is but I dream of having a vacation where we rent a cabin. @KimGiancaterino: It is best as the water affords many more activities. Love them..and really enjoyed your lens. @LaraineRoses: We just left the end of August and are now back in Hanoi. We do miss it and the whole family who now have all returned home. Our floating dock was only out once the whole summer. We were late coming back this year. I noticed a floating dock on the lake today as I drove by. We usually have houseboats floating there but this year they are gone. This lens is beautiful - well deserving of the purple star! 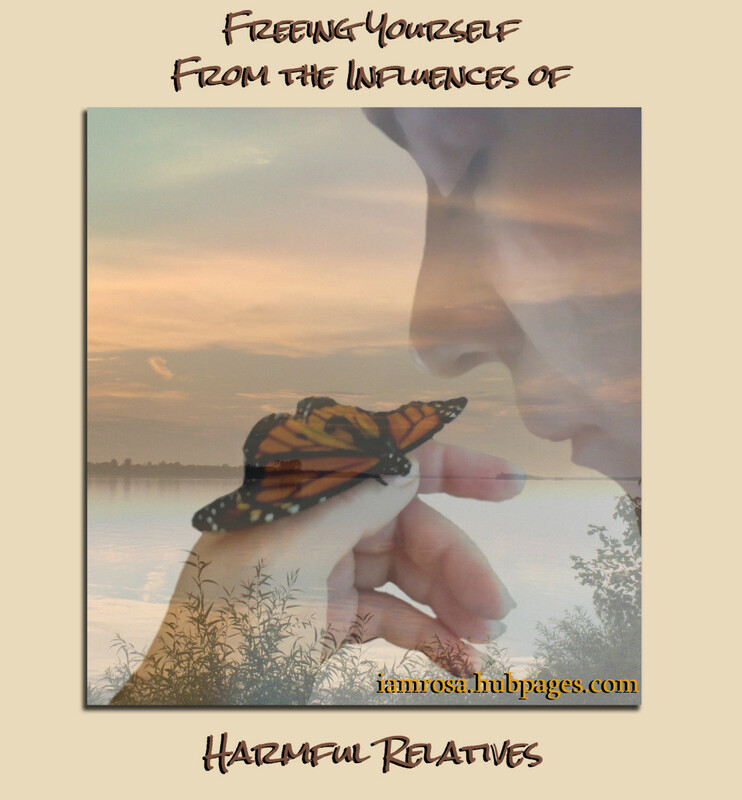 Angel blessings! @BarbaraCasey: We always visit Bala for the cranberries. For a couple of years, our family had a cottage on Lake Muskoka, near Bala. The water was frigid in late May, but the younger kids felt like it wasn't summer if they didn't get in a swim. @Kumar P S: Thank you for the visit. Hopefully I'll have my own little cottage someday. 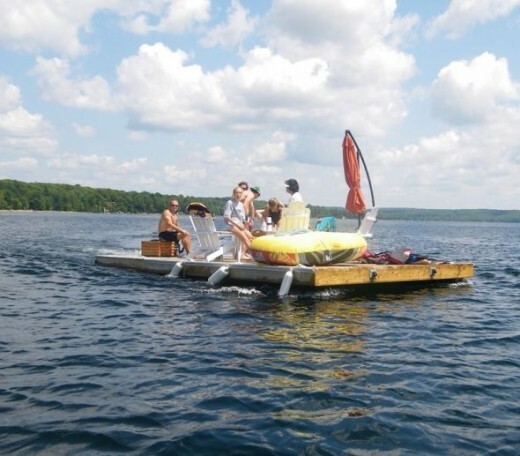 Sounds like yours is a dream place for the family, and the floating dock is great. @miaponzo: Thank you for the blessing. You can't believe how busy is our social life in the cottage. 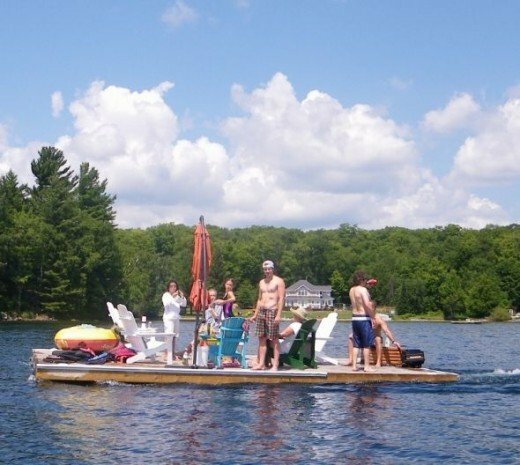 Most city folks in Canada go to cottage in the summer. We have very good connection so business does not stop. I am in my iPad as we cruise in our floating dock. @karen-stephens: Canada is still my top choice to reside in. I just have to get away in the winter. Thanks for the great Canadian site. There is nothing better than a Canadian cottage by the lake or river...and some on the ocean! And thanks for visiting our site on why we love Canada as a beautiful (and cheap) place to retire in! I think in theory they are wonderful, but I have a feeling I would go crazy in one... because I am so into my fast life and business :) Blessed! @Scarlettohairy: It really is so much fun. I'm dying to be there. @favored: 6 more days and we will be there. We're late this year because of work but this will not happen again. Hope you get one for yourself. I'd love to have a summer cottage. Sounds like so much fun! @FashionMommy: Make you wish come true. 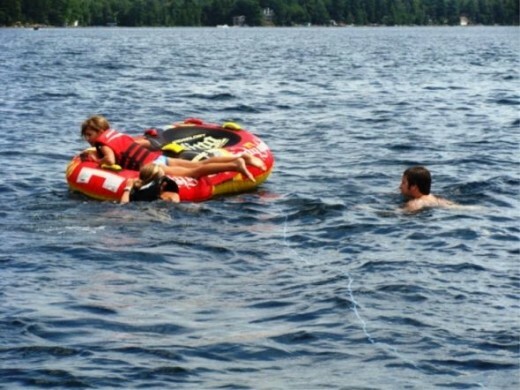 I wish I had a cottage I could go to during the summer. @Pam Irie: We're just lucky that my husband's parents did it. I would love to have a cottage for our family to get together at least once a year. What a wonderful tradition for your own family. Wonderful page and pictures. Thank you for sharing your memories. @Elsie Hagley: You are sort of leaving in a cottage when you're in a farm. You're lucky to have it the whole year. @dahlia369: Life is wonderful there. @norma-holt: I'd love to do that. A caravan evokes nostalgia. @ajgodinho: Not too soon for me as this year we will be delayed going there and I will be away for 2 weeks to be with a friend having a chemo. There are always surprises. Thanks again. @anonymous: It is not that difficult. Start early. I would certainly want a summer cottage if I could afford, I would not want to miss the family gathering. @JoshK47: Easy to do that. It is worth doing. I'd certainly love to spend some time at a cottage for vacation! Blessed by a SquidAngel! @looniestlove lm: You're right. The summer becomes more tolerable. It looks like Great family days! @Natalia Toro: The floating dock is special. @tomazg: It is an experience. @Virginia Allain: It is a special place for everyone in the family. @Millionairemomma: Memories indeed are built here. It looks like a nice vacation where good memories are born and live forever. How wonderful for your family to have this special place. It is an enviable lifestyle. I would love to go to a cottage muskoka! It sounds great! I love the floating dock! Hopefully we'll be able to own a cottage one day. @NTxWriter: Thanks for the visit. 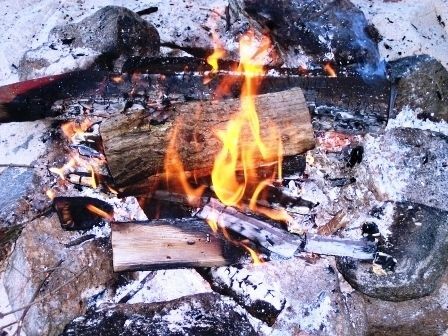 @paperfacets: It is also a great tradition as the place become truly yours when you camp there each year. @anonymous: Each year, new ones are added. @flycatcherrr: When you have kids, it is one of the best things you can do for them and for yourself. Your photographs make cottage life look like an absolute essential. Lovely! Blessed. Looks like a lot of great memories were made. I would love to have a cottage to go to. Our tradition was the same campground every summer. I lived in Toronto one year. In the summer it is very hot and humid. No wonder everyone leaves. Your family is fortunate to have your cottage. @tagesgeld2: Thanks for the visit. Hey, i really like your Pictures! @ElizabethSheppard: It is so much fun. @JustOneGuy: You are right. Nothing stops the imagination. @AndrewBiron: The cottage is a good place. @anonymous: When we were still working, we used to arrange our holidays to start on Thursdays and we go back on Tuesdays. We enjoyed it so much. @randomthings lm: We do, too. @MJsConsignments: You can treasure the memories. Those will never go. I'm jealous. I would love to go there. Great job. This is how life should be. We live in the northern woods of wisconsin and deserted the big city life a few years ago. For those who still produce in the city, the idea of a place that is simple and beautiful makes every stress worth it. Some day, perhaps we'll have cottages in space or on other planets or moons or homes that will float on the ocean. It's how life should be and ought to be. Thanks for the beautiful picture. i'd love to have somewhere special to get away from everyday life. I like the idea of a getaway, something small and easy to maintain. @anonymous: Thank you so much. Very encouraging of you. @julieannbrady: Very inviting, isn't it? @Wednesday-Elf: Will be a great experience. Muskoka is north of Toronto. The kids with fathers still do this dawn fishing. They all love it as I can see from your experience. Ah, the cottages as you have presented them are quite inviting! Love to come visit! Muskoka looks like a special place. I'll have to check it out. 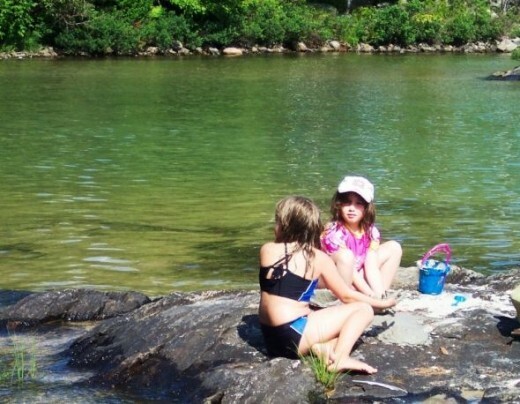 Looks like your Summer Cottage in Muskoka is a special one for your family. All the years I was growing up, my Aunt &amp; Uncle had a cottage on Lake Ontario outside Rochester, NY and the family all gathered there on summer weekends. I can remember early dawn fishing trips with my dad &amp; brother with the mist still rising from the water as a very special time together. I didn't even like to fish, but I loved being out on the water with my dad as the sun came up and wasn't about to let my brother have this treat without me. :).